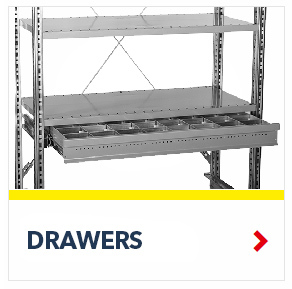 Thanks to the vast range of Heavy Duty Shelving Accessories, the only limit to customize your unit is your imagination. 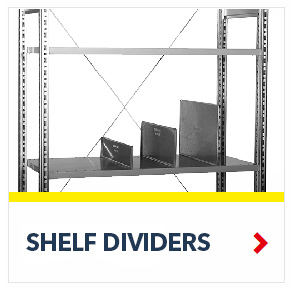 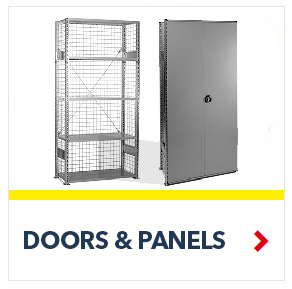 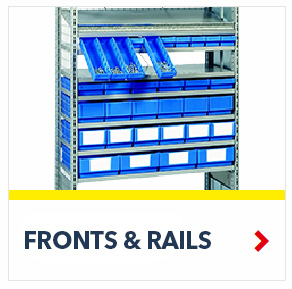 Choose between Shelf Dividers, Closure Panels, Doors, Storage Trays, Drawers, Bin Fronts, Rear Stops, and many more to design the unit that better fits your needs. 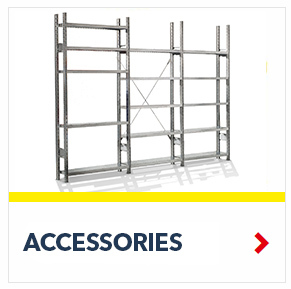 All accessories available in stock, ready to ship for fast and quality service.